I love it! Hashtags all around! Some couples are all for the idea of using social media at their weddings, and encourage their guests to post pictures of their big day all over various social media platforms. These couples frequently assign a hashtag to their wedding and ask their guests to use it while posting any and all pictures, comments, or statuses. These hashtags are usually pretty straightforward, such as #JackandJill2014 or #SmithWedding, but they can be as creative as the couple wants them to be! The major plus to wedding hashtags is that they enable the bride and groom to easily locate all their guests' pictures on social media. Couples who choose to do this often put their hashtag in the programs and find cute ways to get it out to all the guests, such as decorative signs. Um, NO. Put your phones away. 1. Let's take a break from technology! With our cell phones practically glued to our palms nowadays, more and more couples are asking their guests to turn off their phones while they're at the ceremony and reception. Usually, the idea behind this is to encourage guests to unplug and simply enjoy connecting with the other people that are at the wedding. If you decide to do this, try to avoid confiscating your guests' phones at the door and just stick to asking your guests to turn off their phones. They will be much more likely to cooperate that way! 2. My fiancé and I want to be the first ones to post pictures. For many people, publicly announcing a big event on Facebook has become an exciting milestone. It's not surprising that a lot of brides don't want their guests posting pictures of them all over Facebook before they get a chance to do it themselves! If you find yourself in this position, you will need to (kindly!) make it very clear to your guests if you don't want to them to post pictures of you or your fiancé until after you do. It's a good idea to let your guests know in advance that they will need to exclude you and your hubby-to-be from their social media posts. Making a note of it on your wedding website and your programs can be an easy way to do this. Let's meet in the middle! As with any extremes, these polarized viewpoints tend to shut out any sort of compromise. 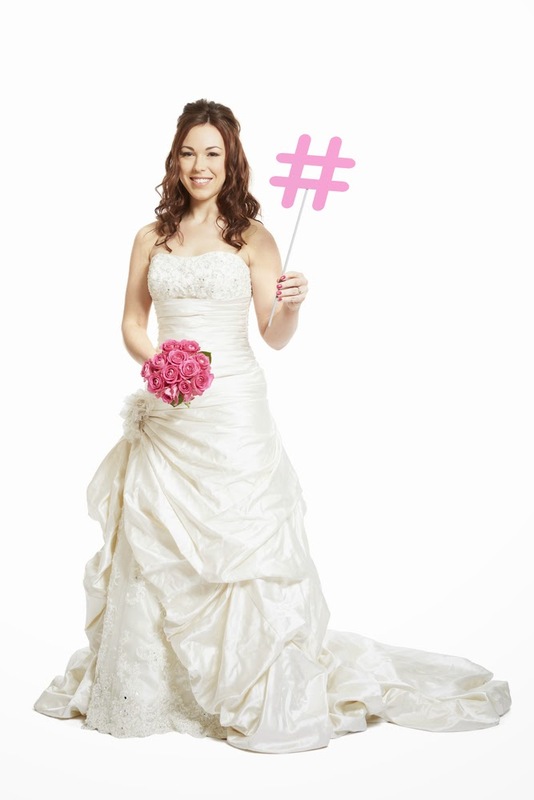 In reality, there are several great ways to balance the use of social media at your wedding. With WedPics, for example, you can create a private album online that your friends can upload their pictures to with the passcode you give them. Wedpics is accessible on the computer and as a mobile app, so your guests can use whichever format makes them more comfortable! How do you feel about the use of social media at your wedding? Comment and let us know! !